Although Christmas 2016 is well and truly over (duh, its January 2017)... 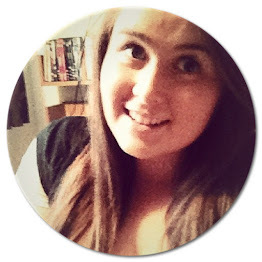 I still wanted to write this post. During late December, I love seeing other bloggers write posts like this, because, like most of the British population, I am nosy. However I still had to wait for a few bits to arrive at my door before I could feel this post was going to be published and "complete". Now, although online shopping makes me as happy as a Vanessa Hudgens and Ashley Tisdale performing a duet 11 years after High School Musical, waiting for that shopping to be in my hands, does not please me at all. Finally, the wait is over and the photo's have been shot, so here are *a few* of the beauty bits I received for Christmas 2016. My dad got me the Anastasia Beverly Hills Modern Renaissance palette - this was a joint effort! I don't think any male that isn't part of the makeup scene would ever be able to find a gem like this alone. Whenever I found it in stock, I'd send my dad a "subtle" link to it, but once he got round to clicking said link, it was of course, out of stock. Luckily, www.anastasiabeverlyhills.co.uk/ launched in December so getting our hands on it instantly became much easier and I don't think I've ever been so happy to own a palette. Everything about this palette is beautiful, from its packaging to the texture of the shadows. It is perfection. 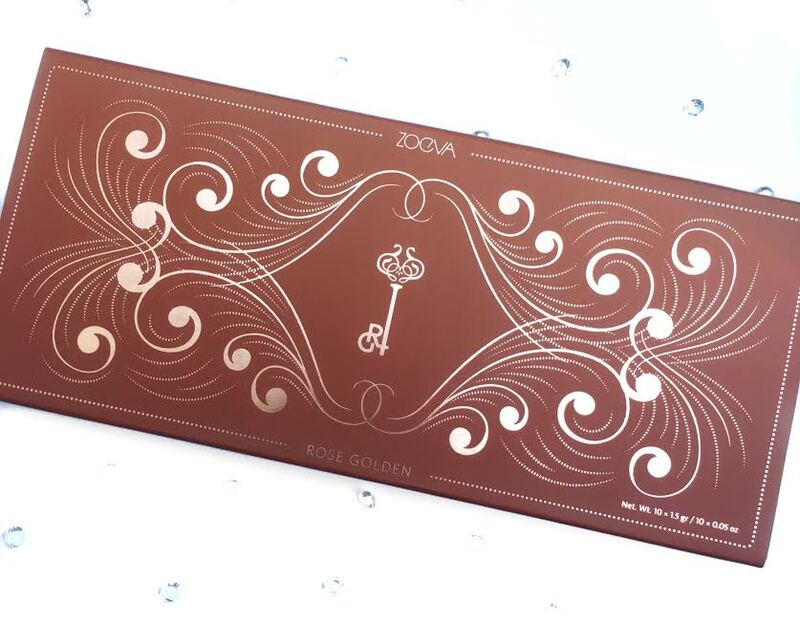 Zoeva Rose Golden Palette - I've been dying to get my hands on a few Zoeva bits for ages. I'd heard great things! As soon as I unwrapped this, I knew I was in for great things as well. 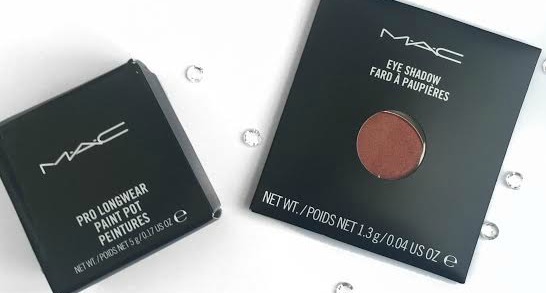 Theres 10 shade's which are crazy pigmented and gorgeous colours, Copper is King being my obvious favourite. I can't wait to really explore this palette soon! 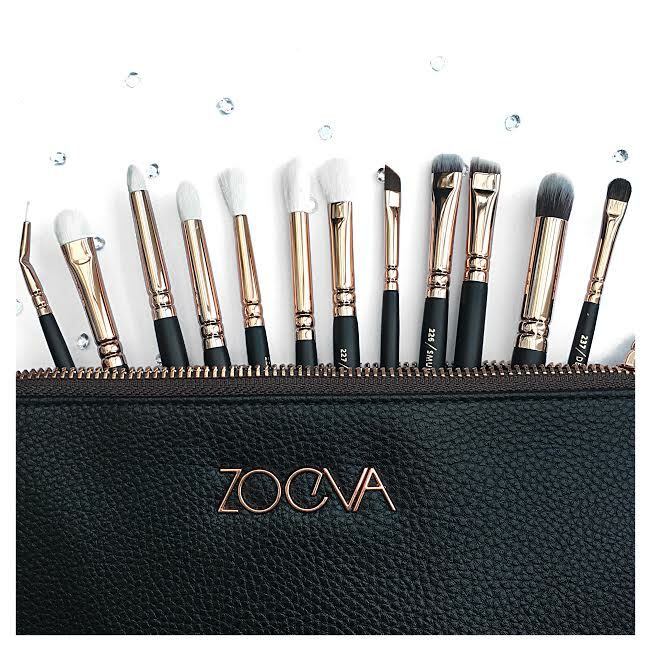 Zoeva Rose Gold Complete Eye Set Volume 1 - These brushes don't look rose gold from this photo but they are, and they are incredibly pleasing on the eye. 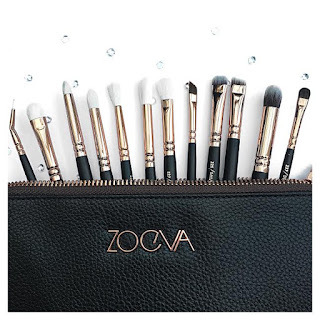 The brushes that everyone apparently needs... I can finally say I now agree. You get 12 brushes and a makeup bag to house them in. The quality of these brushes is really high and investing in great tools always equals better application in my opinion. Finally I don't need to worry about my eye shadow being blended perfectly for 5 minutes, because these brushes are a dream to work with. 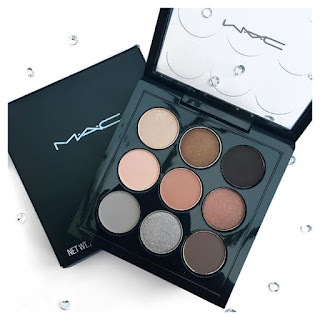 Mac x9 Dusky Rose palette - I'd been lusting over this for a long time. The colours are really pretty and its the perfect size for when you're on the go. 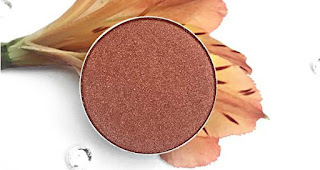 The shadows however are not greatly pigmented and do take a lot of building up. However, for touch ups it works well! My best friend and his partner gave me a £20 gift card so I treated myself to a paint pot and eye shadow pan. The Soft Ochre Paint Pot had been on my wish list for a few months so I jumped the chance to try it! Although I wasn't impressed with the x9 palette above, I'd heard great things about their single pan shadows. When I saw Coppering on my screen, it was love at first sight so I knew I had to have it. It's gorgeous! Can we also talk about the packaging of this gift card? Everything from the Nutcracker Sweet collection is pleasing on the eye, even their gift card wallets! I then paid the remaining £3/4 of the balance! 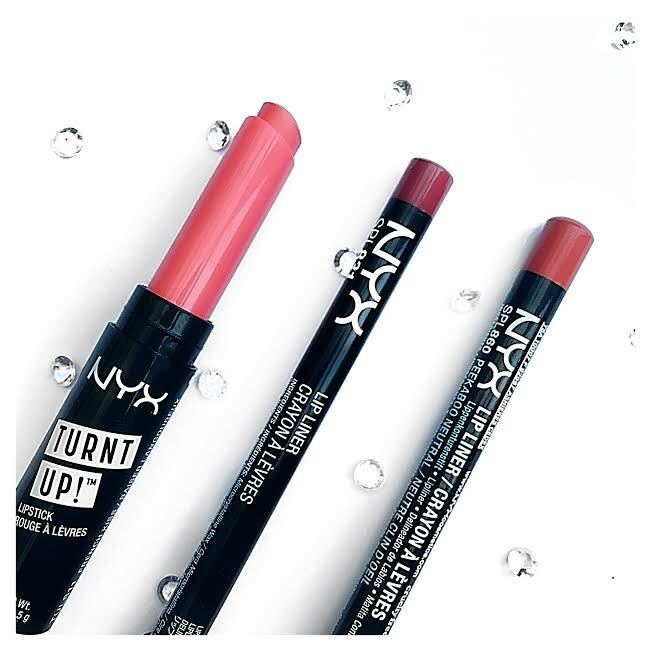 Nyx lip liners & lipstick - I've got a real thing about lip liners lately, I just can't get enough of them and in conclusion, can't stop buying them! So when I found my brother had picked up these 2 I was a happy girl. 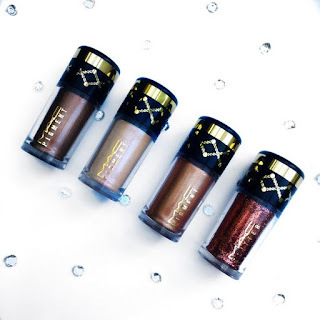 Nyx is not a brand I've explored much so these bits are a perfect introduction. Nugg Dry Skin 4 Day Intensive Skin Treatment Collection - The winter plays havok with my skin and it does get really dry so this set of 4 masks is perfect for combating that. 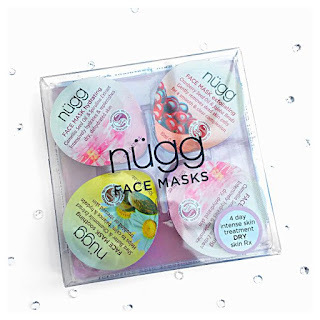 These will be coming up in the new Face Mask Friday series so I won't say too much! 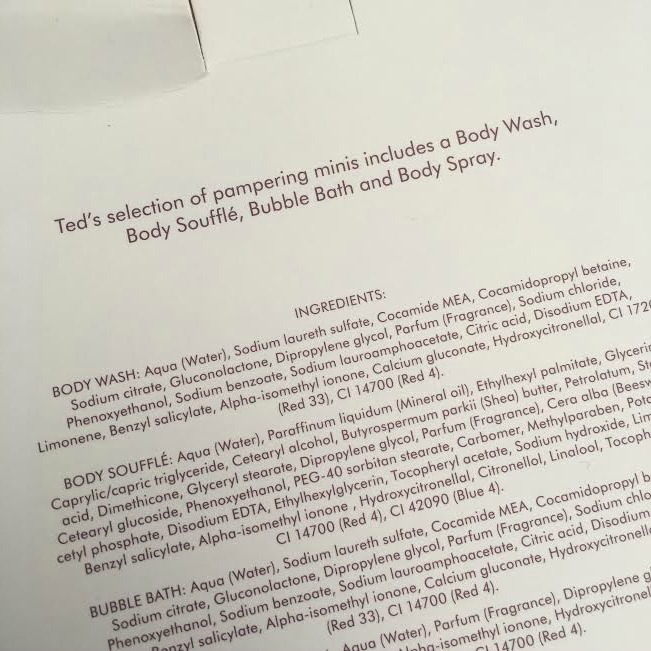 *Seriously bad photo quality* I received a Ted Baker set from my Auntie, and another from a friend (best sets had same contents). You can't really go wrong with the TB sets, all the products smell great, the quality is amazing for the price and with the size of each item, they are a great addition to any bathroom or hand bag near you. 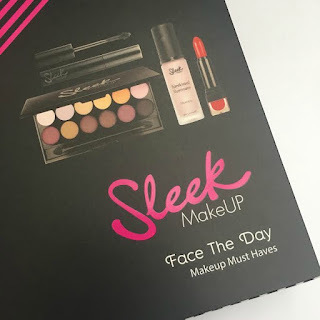 Sleek Face The Day Makeup Must Haves set - A great range for any makeup lover. Sleek have really outdone themselves over the last year or 2 and they keep growing and growing. 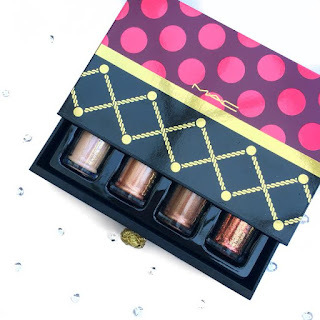 This set contains an illuminator, eye shadow palette, mascara & lipstick. It's enough to create a whole look based on 1 set and the products are high quality and full sized. I was well and truely spoilt at Christmas time and my friends and family did so, so well. A massive thank you to everyone I received a gift from. I'm already looking forward to unwrapping my 2017 presents - I wish I was joking! As I said, I'm super nosy so I'd love to see what you got as well! I know it's practically mid January so feel free to send me a link to your posts in the comments below! Wow, what an impressive haul! I bet you were delighted to open up this lovely lot on Christmas morning! 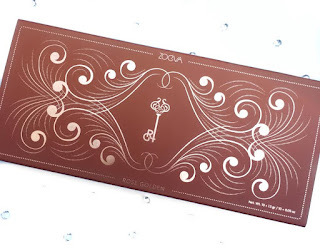 The packaging of those Zoeva goodies looks gorgeous, I'd love to see a full review of the palette and some swatches! I'm a big fan of Ted Baker too, so hope you get lots of use out of your two sets! Wow you got some amazing bits! All look so gorgeous!! I love posts like this because I'm so nosy! The mac pigments look sooo pretty and the Zoeva palette colours are all so nice! I don't know how I've not dived into Mac pigments before, they're amazing! I've been wanting to do a what I got for Christmas post but never have the guts. Amazing! You got so much beauty products, I'm so jealous! Did you get everything you wanted for christmas then? I would've done a 'what I got for christmas' post, but I only got three things so would've been a little pointless! I got a lot of what I wanted but I must admit, the list does nothing but grow so I don't think i'll ever get through it! I got that Ted Baker set in the boots sale! It looked so classy and I couldn't resist. 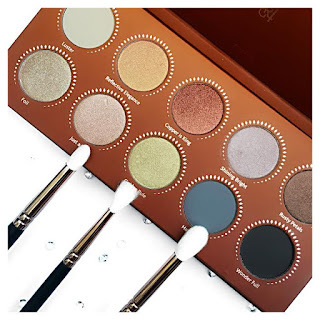 I love the look of that Zoeva palette, how gorgeous! They always do! The packaging is just lovely isn't it!? The Zoeva shadows are amazing! I really recommend them! I must admit, it can be very hit and miss... The year before this my dad got me some Estee Lauder Double Wear foundation... It was literally 7 shades to dark for me and he was a bit offended I didn't wear it! Haha! ohhh you got a lot of amazing presents!! I wish I had put the Mac Nutcracker collection on my list, it is gorg! You got so many lovely things! 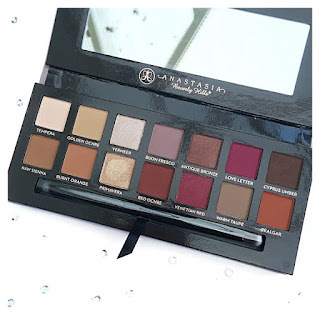 The ABH palette is in my wishlist CONSTANTLY but I never get around to buying it! Please, please buy it!! 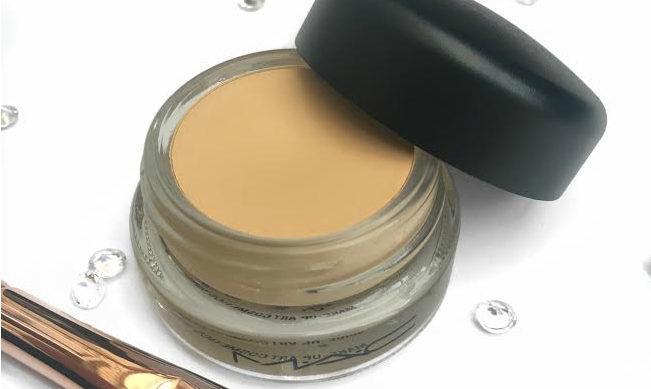 I think they are the best shadows i've EVER used! 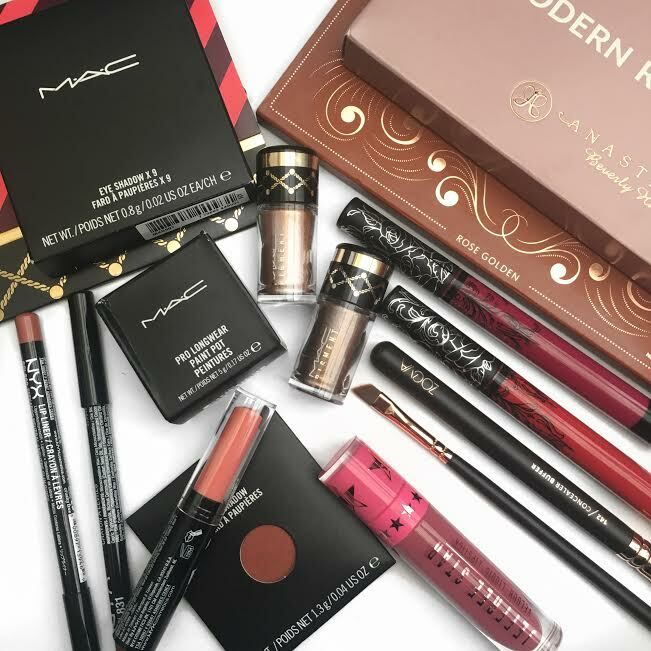 I am so jealous of all the amazing makeup gifts you received. I really need coppering in my life. It's beautiful 😍 Your pictures are also very amazing! Please promise me you'll pick up coppering! It is absolutely gorgeous! Lovely haul of stuff that you got for Christmas! The Zoeava palette is just stunning! 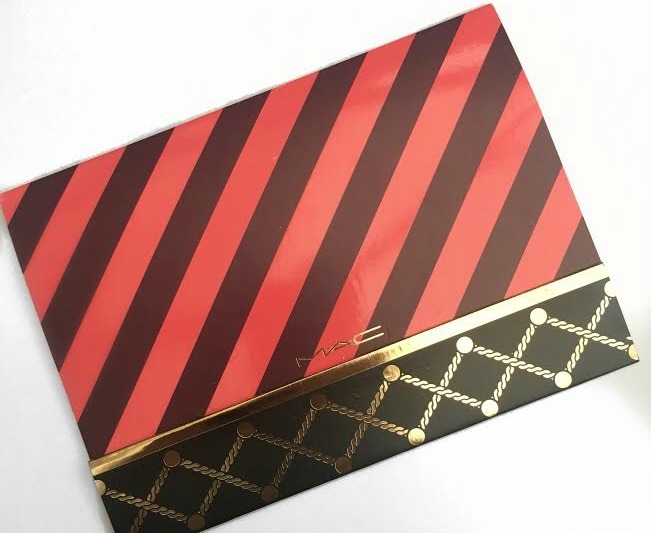 I want all of their palettes now! haha!